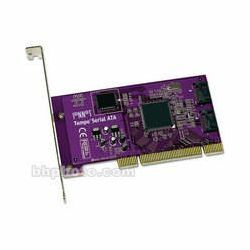 Sonnet's Tempo Serial ATA 2-Port PCI Adapter Card upgrades a Power Mac that has a built-in PCI card and allows it to use a Serial ATA (SATA) drives taking advantage of the 1.5 Gbps throughput of the interface. Produkt został dodany 15.09.2014 12:25. Ostatnia zmiana danych produktu miała miejsce 15.09.2014 12:25.